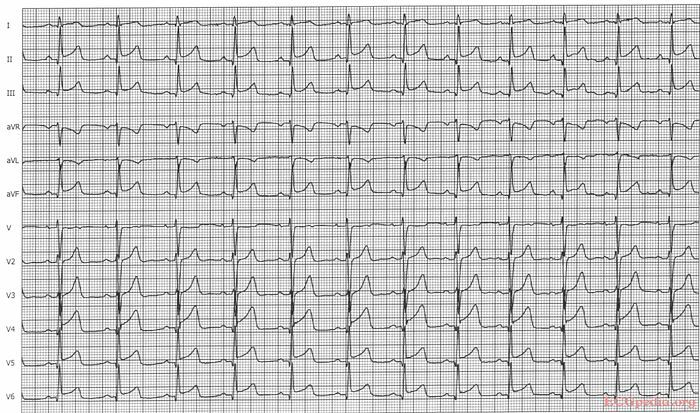 No pathologic Q or LVH. ST elevation in II, III, AVF and V4-V6. ST depression in AVR. The ST vector is pointing downwards.